Coconut based tamarind curry will go well with white rice,idli -dosai and chapathi.. Grind the ingredients one-by-one in half teaspoon of oil.Let't cool and grind with 1/4 cup of water. 1.Wash & cut the edges of Okra.Then cut in to half inch pieces.Heat half teaspoon of oil in pan,roast all Okra and keep aside. 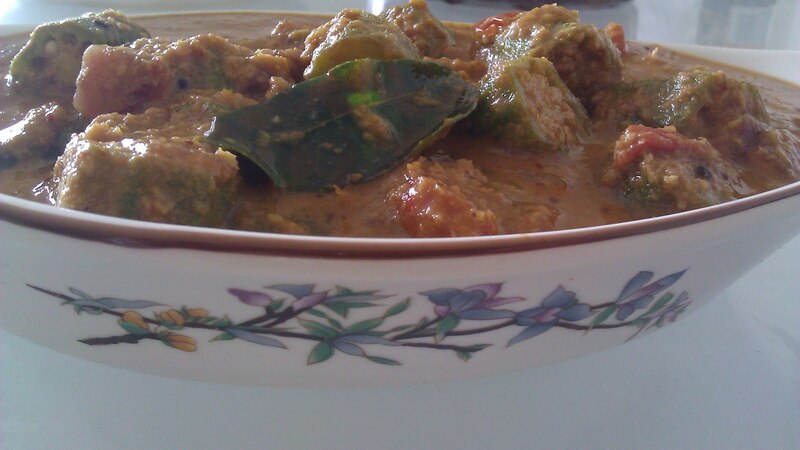 2.Heat oil in pan,splutter Mustard seeds.Put curry leaves and hing. 3.Add shallots and fry till transfer the color. 4.Now add chopped tomatos and fry till get mushy. 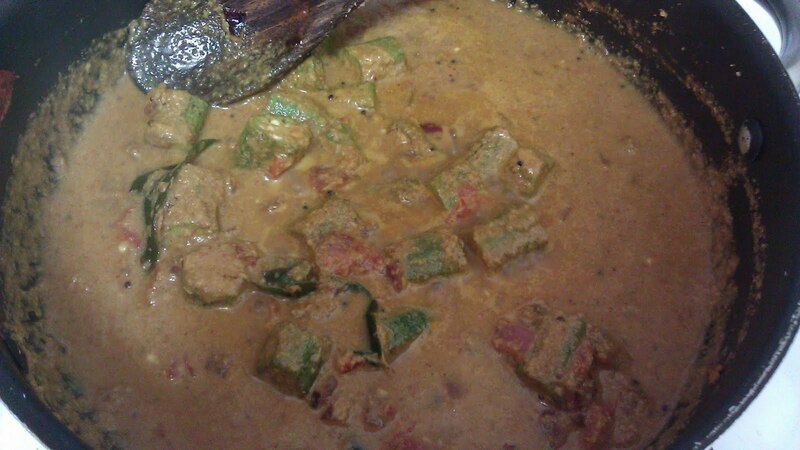 5.Then add the cooked (Fried) okra in to it.give a mix,till all masla coated. 6. Pour grounded masala, add 1/2 cup of water. 7.Add tamarind juice and bring to boil in medium flame.Add turmeric powder and salt. 8.Cook it for 5 more mins till all raw smell goes. 9.It'll lose oil in edges it means it's done.switch of the flame. 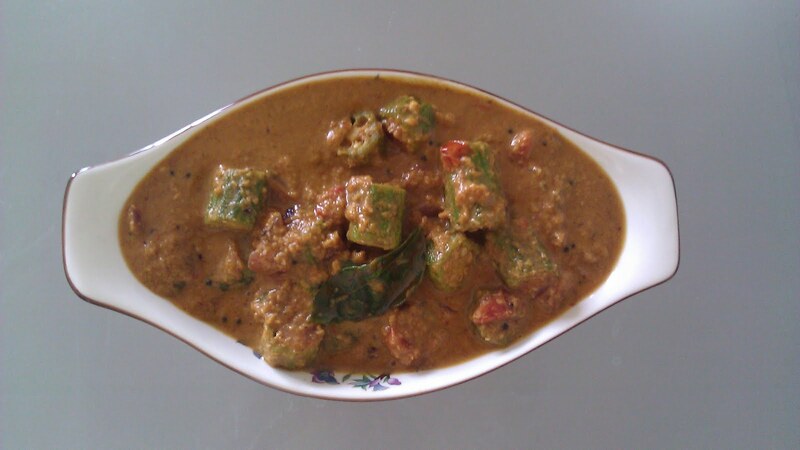 Prabha, same pinch...I had the same dish for lunch today...love this okra kuzhambu so much, delish. Tangy and so comfort food ... love this with appalam..